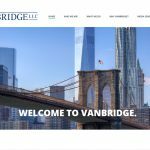 Vanbridge LLC, an insurance intermediary, capital advisory and insurance and reinsurance management firm, announced today that it is rolling out new enhancements to its SiX Executive Risk Insurance Program. The program’s new features include a dedicated microsite with a streamlined online application process and an enhanced policy form. 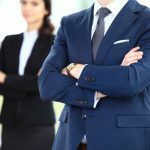 Over the last three years, the SiX Executive Risk Insurance Program (D&O, EPL, Fiduciary & Crime) has become the largest program for insuring Private Equity and Venture backed companies. “The program’s success is based on the simple belief that private equity and venture funds want to maximize the buying power across their entire portfolios without losing the longstanding relationships that the portfolio companies have with their existing retail insurance brokers” said Jonathan Legge, Managing Principal of Vanbridge. “We are excited to take the SiX program one step further and tackle two additional inefficient aspects of the typical procurement process,” he continued. Send us an email and we'll get back to you promptly.